Holidays are here! Most of you will be in holiday mood waiting for the year end celebrations. As the temperature is going down and it’s almost freezing here, the need for the moisturizers is more than ever. 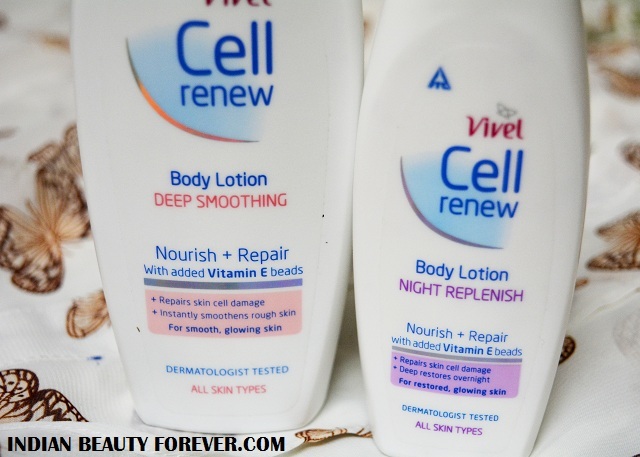 I will review Vivel Cell renew Body Lotion Night Replenish and Deep Smoothing. 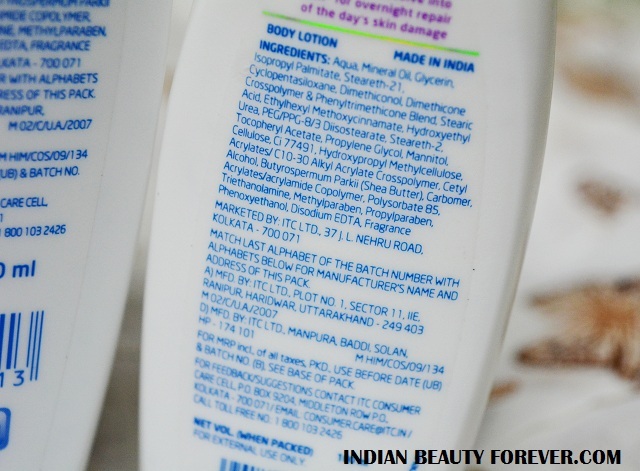 These two body lotions were launched by Vivel this season to combat the winter dryness. The deep smoothing one is a normal day time variant whereas the night replenish is appropriate for the night time when the skin rejuvenates hence needs extra hydration. 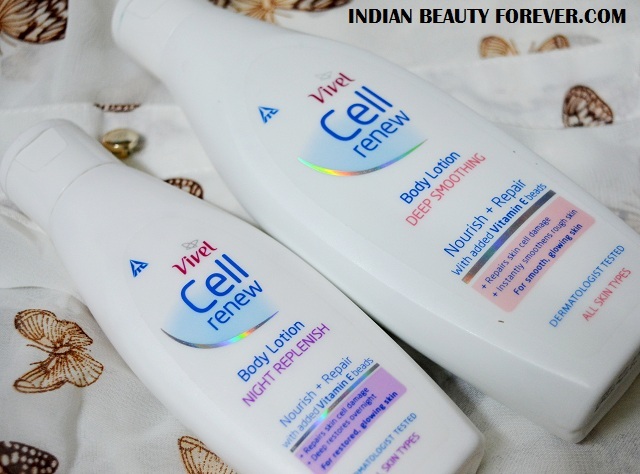 Price: Vivel Cell Renew Body Lotion Deep Smoothing is for 250 rupees and is easily available online and offline. I saw this offer where you can get the Vivel Cell renew Body Lotion Night Replenish free with the Vivel Cell renew Body Lotion Deep Smoothing. Vivel Cell Renew Deep Smoothing body lotion has a very user friendly packaging and a soft floral-ish fragrance. It gives enough hydration for the normal skin though for the dry skin reapplication is needed. I like this for my skin type. In harsh winters, this works decently well to keep the skin moisturized. Vivel Cell renew Body Lotion Night Replenish is more moisturizing and greasy for the dry skin. It smells better and more perfume like than the first variant. It is for the night time but I like it to keep the dry areas moisturized. Reason being it’s better with hydrating properties. Both the lotions are ideal for winter and keeps the skin nourished with mild fragrance which lingers.